Shake the dust off your feet and get ready to run. Take every thought captive, and no matter how your body feels; no matter how your circumstances look, don’t let go of My word. STAND. Stand firm on My word, call those things that be not as though they were and continue to press your way. Claim your breakthrough as you press your way towards the vision set before you. Shake the dust off your feet and don’t be held down by the mistakes of the past. The past is behind you; so stop allowing it to hold you down. Stop looking back and reliving the hurt and the pain. Shake the dust of the past off your feet and step into a new day. The breakthrough is so close, don’t give up now. It’s closer than you realize. Yes, I know it seems as though the battle has increased; that’s only because the dawn is about to break through. So, smile knowing that My word is going forth. Smile knowing that My word is prospering and accomplishing all that I sent it to do. Now, step boldly out of the ashes, and let a song of praise rise up from your heart. Confess victory in the face of the adversary. Oh, look up; look up and receive My joy, and do not stop believing. It’s a new day, and things are changing. Get ready to run, for greater things are waiting for you. 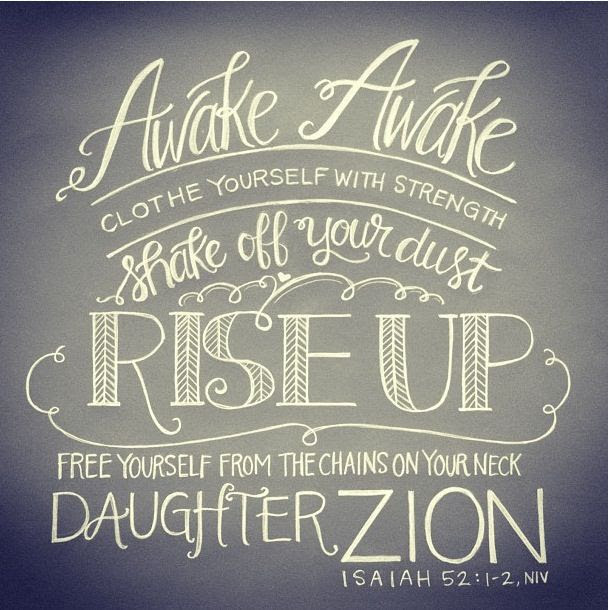 Isa 52:2 Shake thyself from the dust; arise, and sit down, O Jerusalem: loose thyself from the bands of thy neck, O captive daughter of Zion. Isa 55:11 So shall my word be that goeth forth out of my mouth: it shall not return unto me void, but it shall accomplish that which I please, and it shall prosper in the thing whereto I sent it. Php 3:13-14 Brethren, I count not myself to have apprehended: but this one thing I do, forgetting those things which are behind, and reaching forth unto those things which are before, I press toward the mark for the prize of the high calling of God in Christ Jesus. Hi Samantha, I am ever so grateful the word of encouragement blessed you. God gets the glory!